Coach Skip became the head coach at Mt Hood Aquatics in September of 2008. Skip coached at Multnomah Athletic Club from 1981 - 2008 where he had tremendous success, leading the team to four top 10 finishes at Senior Nationals. During Skip's tenure, thirteen of MAC's swimmers represented the USA in international competition and MAC swimmers won 8 individual national titles. In 1998, Skip received the American Swimming Coaches Association’s Silver Achievement Award, given to coaches who have experienced 15 years of placing swimmers in championship finals of the National Championships. Skip is one of 12 coaches who have achieved this level of coaching excellence. Skip has been on the coaching staff for the USA National Team on 13 occasions, most recently as the Head Women’s Coach for the USA at the 1998 Goodwill Games. This team won the gold medal in the team competition. Skip has been the recipient of the "Ohio Coach of the Year" award two times and the "Oregon Coach of the Year" award three times. He has been very active in USA Swimming, both at the local and national level. The best way to contact Coach Skip is through text 971.212.3804. Dennis was born and raised in Portland Oregon, and started competitive swimming at the age of 5. He swam for David Douglas Swim Club through high school, earning many State Championships and All American honors. While swimming for the University of Arizona, Coach Baker was the Pac-10 champion twice in the 200 Butterfly. in 1979, Coach Baker finished his "first life" in swimming. His "second life" has landed him here at Mt. Hood Aquatics. He began swimming again in 2000, and was awarded the Oregon Male Swimmer of the Year for the second time in 2002 at the age of 43. He is the oldest swimmer ever to qualify for the USA Swimming Nationals, and narrowly missed becoming the oldest Olympic Trials Qualifier in 2008 by the slimmest of margins. In 2000, Coach Baker began coaching younger swimmers and is the Head Coach of the Oregon Reign Masters, a masters swim team training at Mt. Hood Aquatic Center. Dennis loves to help younger and older swimmers find their "inner athlete” and loves to train with the Senior Squad and push them to new heights. Dennis coaches the Red and White squads at the MHAC location. Scott Clark has over 15 years competitive Swimming and Water polo experience. He started swimming at Sam Barlow High School and soon after joined the Mt. Hood Swim Team. After High School Scott swam and played Water Polo for the University of Oregon. With a passion for the water and competitive swimming, he is never far away from the pool. Scott has 10 years of competitive coaching experience. As a coach, Scott works to insure his athletes enjoy the sport while always striving to reach their full potential. Terri has a long history with the sport of swimming in Gresham, OR. She started swimming at age 9 for Eastmont Aquanauts which later become Mount Hood Swim Team. After a successful age group swimming career with Mount Hood she changed teams to swim with an outstanding coach, Skip Runkle, who coached her at the national level. University of Nebraska recruited her (Go Huskers) for a swimming scholarship and she received the first of two degrees, a B.S. in Family Science. As a Nebraska Cornhusker she was a conference champion in 200 breaststroke, most outstanding student athlete, and she was chosen by her teammates to be team captain her senior year. Upon returning to Portland she went to Concordia and received a second degree in elementary education and is currently teaching first grade at Happy Valley Elementary. Terri has been involved in many ways within the swimming community. She was a swimmer, she has coached swimming and she currently has 2 boys who swim for Mount Hood Aquatics. She is excited to be a part of the MHA coaching staff to work with swimmers and help them become the best they can be as athletes but also as people. I have been in the swimming world in some capacity since I was a toddler. A portion of this was with Skip as my coach! My best events were the100 Breaststroke and distance freestyle. I have dabbled in running, triathlon, and obstacle course racing. This past February I jumped back into the pool with Dennis and the Masters Team and having a great time. I am excited to get back into teaching and coaching a new generation of swimmers with Mt. Hood. I swam one season in college with PCC in the small collage league with another great coach, Carl Von Togan. Along with being my coach, he introduced me to the greatness of coaching high school swimming. I went on to coach Club swimming at Lake Oswego and Parkrose. 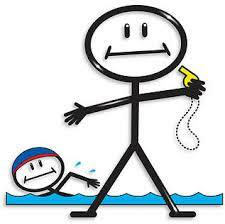 I currently help coach The Portland Triathlon Club, and do private swim lessons. Since college I have been in the fitness industry as a coach and personal trainer. I now have my own business, NW Body By Nature. I specialize in functional movement with emphasis on balancing muscles to allow for proper joint movement and durability (as in less chance of overuse injuries). My clients have ranged from athletes to grandmothers! Three years ago I added the certification of Nutritional Therapy Practitioner. I specialize in improving digestion, proper immune system function, weight loss, and low carb/keto diets. I love helping people feel better by moving properly, cleaning up their diet, improving sleep, and decreasing stress. I am married going on 19 years. One of the most notable and challenging parts of my life is we became parents 5.5 years ago to three girls all at once. They are my husbands granddaughters, so now I am a step nana and mom! They were 3, 3, and 6 when they came to live with us. It has been a crazy journey, but one I would not change for anything. They are thriving and I love being mom! See you at the pool.